Like always, Oka and Kitamura want to tear into each other, so their respective partners have to push them back and start the match themselves. Oka and Kawato got the heat on Umino for a long while, Kitamura with the hot tag. Finish saw Kawato submit Umino. Good match. Music guy was messing around with Taichi, he played his song when he wasn't ready, so the lip-sync shtick is over! Match was nothing special, Taka and Will were great, Taichi and Jado weren't that great. It was tons of the usual Taichi shenanigans. Young lions just had a better match minutes ago. Post-match - Taichi and Ospreay go in each other's face, they're facing soon. This was awesome and chaotic, Scurll really had a chance to shine in this match. Highlights of the match saw Hanson do his running lariats to the corners, but with Scurll on his back, we saw Ricochet go for a SSP on Scurll, but literally out of nowhere (not like Orton's), Tama Tonga ran into the ring and hit a cutter as Ricochet was coming down. At the end, Scurll distracts the ref, Yujiro hits Rowe with his staff, enough for Tama Tonga to capitalize, take Rowe down and pin the champion. Dragon Lee, Jyushin "Thunder" Liger, Satoshi Kojima, and Juice Robinson representing Taguchi Japan. 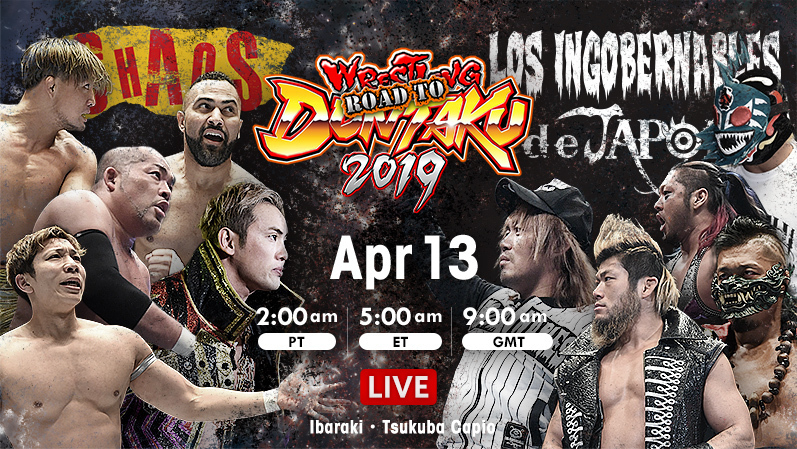 I don't know why it bothers me, but from LIJ, Sanada was the only one that didn't get his own entrance, I mean, they're all a team, you either do them together, or each their own. Liger really took offense to Naito breaking the title plate, he went straight to him full force. 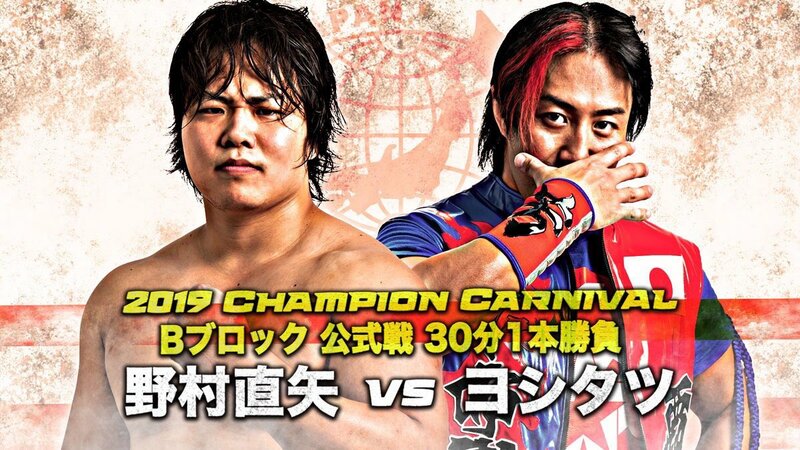 Match was a combination of awesome pairings, we had Liger vs Naito, Dragon Lee vs Takahashi, Robinson vs EVIL, Dragon Lee vs Sanada, Sanada vs Kojima, all of them awesome pairings. Kanemaru got the heat early working Volador's back and going for the countout win. Volador would make a comeback which forces Kanemaru to rely on drastic measures, also known as, hitting your opponent with a whisky bottle. It was an ok match. Go Go Tiger vs Go Go ACH! What a turn of momentum, this match was awesome, it shows how different a match can be when you keep the unnecessary cheating off, and don't get me wrong, cheating has a place in wrestling, but like we've seen today with Taichi or Kanemaru, when cheating comes before the wrestler has even tried to win with his own strength, then it really makes both wrestlers look weak. Tiger and ACH here went at it toe-to-toe, this was a back and forward match, a respectful match where both men go to war for those 2 points in the ranking table. Tiger worked ACH's back, ACH in return worked the neck and shoulder of the masked wrestler, yet overall they kept going for big moves. The finish of this match ruled, it wasn't like a special awesome move, but just the action leading to it was great. It's interesting how Tiger Mask of all guys has been having some of the best matches of the tournament, even over Liger in my opinion, and I wouldn't even consider her a dark horse. Post-match - Tiger Mask puts over ACH, who in return bow to him. You have to imagine that of all the tournament, this was the dream match ACH wanted most. Tiger is also selling a potentially dislocated shoulder. Now, to my actual dark horse of the tournament. Well, I just saw the greatest response to a comedy spot, Taguchi is taunting Desperado like a matador, when Desperado goes for the cape, he instead spears Taguchi. What follow this was something that I wish I had never seen and I wish it will never happen again, Taguchi was sodomized by Desperado wielding a huge nail, Taguchi was rendered unconscious during the heinous act. Once the comedy stuff was over, the match got competitive, with Desperado working Taguchi's leg, who had to fight back with a weak knee. 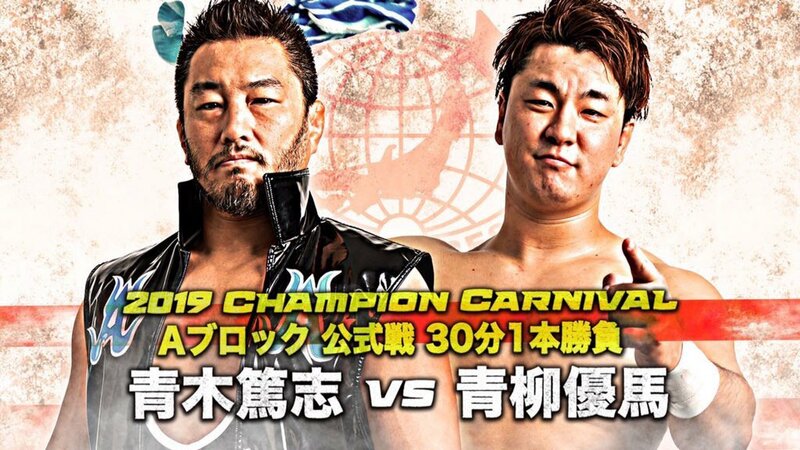 Taguchi had a good comeback, but it wasn't enough, Desperado easily got back on top putting Taguchi under several submission, especially his underrated Stretch Muffler. There was a great nearfall when Taguchi connected with the BOMAYEE and Dodon. Finish saw Desperado go for an Eddie Guerrero tossing his own mask to Taguchi, this distracted the ref and Taguchi while Taka passed on another mask, Desperado took the opening to hit the Angel's Wings for the win. Desperado is overall top ranked in both blocks. This is the match that leaves one man behind at the bottom of the block, both men find themselves with zero points right now and if they don't start winning now, it's gonna get harder and harder, espeically with Desperado taking off like he is. KUSHIDA and BUSHI took turns on each other, BUSHI working the head, KUSHIDA the arm. It was mostly a submission based match, but they did at points fly to the outside and kick each other's heads off. 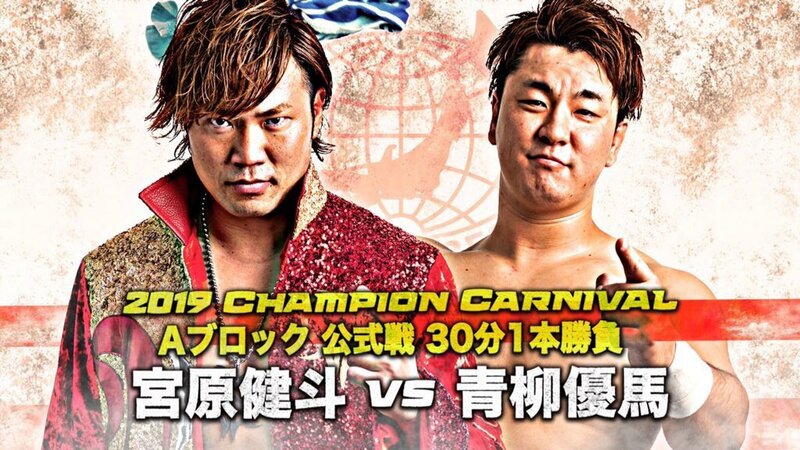 Finish saw KUSHIDA counter a top rope plancha into a codebreaker, later connecting a Kimura Lock, which as much as he fought, BUSHI couldn't get out of, and once he was about to, KUSHIDA turned it into a Small Package Suplex for the 1-2-3. KUSHIDA has made it to the rankings. KUSHIDA took the mic after the match, but I have no idea what he said. 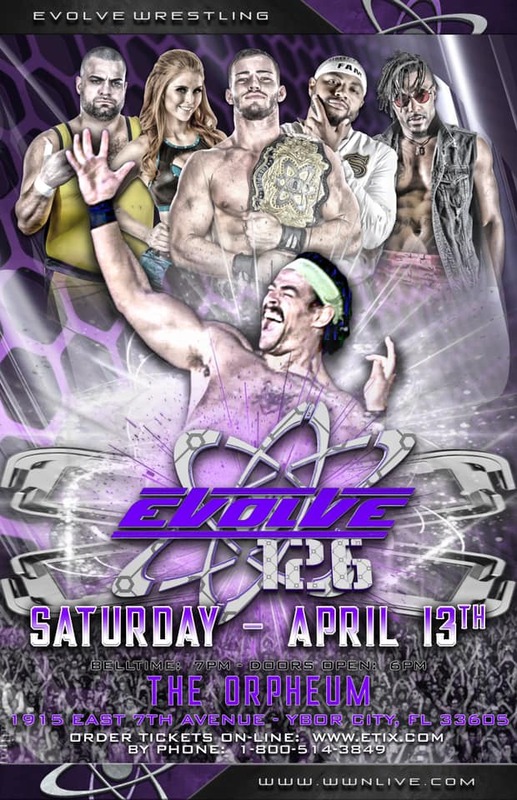 This show HAD to be at par with the first two days of the tournament, even the undercard was awesome tonight. Tiger Mask, BUSHI, and Desperado I feel are really getting a chance to shine, and in hindsight, it was best to not have them in the super loaded BLOCK A.